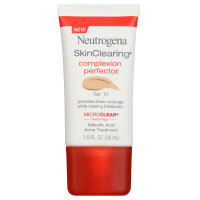 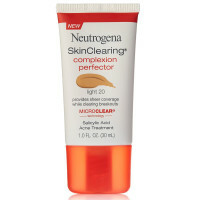 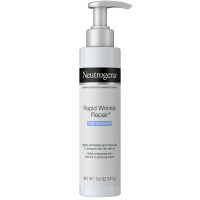 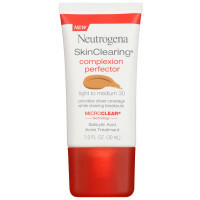 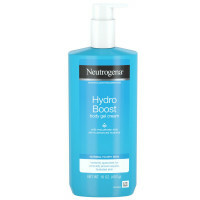 Neutrogena SkinClearing Complexion Perfector provides lightweight, natural-looking, and sheer coverage for acne-prone skin while clearing breakouts at the same time. 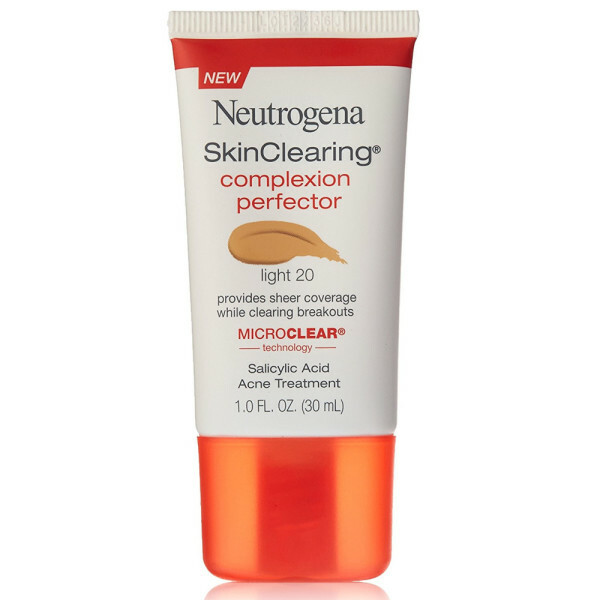 This tinted moisturizer works across skin tones to glide on perfectly and blend naturally with skin. 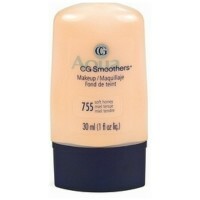 This liquid foundation instantly blurs the look of acne and minimizes the appearance of pores. 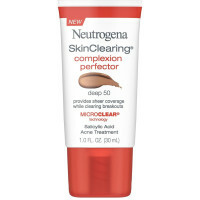 The hypoallergenic and non-comedogenic acne-fighting formula with Micro-Clear technology and salicylic acid is clinically proven to fight acne for clearer, healthier skin.